You Can Make Mouth-Watering Cappuccino at Home! As you know, a cappuccino is an espresso prepared with steamed and frothed milk. There are many delightful ways to make cappuccino, but you should first learn how to make a perfect espresso. Your knowledge and skill, your beans and your machine all greatly affect the quality of the coffee you make. Once you know the basics you’ll be able to fully appreciate these recipes! The basic cappuccino is a 6-9 ounce beverage. It is composed of about 2-3 ounces of espresso coffee, 2-3 ounces of steamed milk and 2-3 ounces of frothed milk. Powdered cocoa or cinnamon is usually sprinkled on the top to give it that little special touch. Here are some tips and tricks to take your cappuccino to the next level of deliciousness. In order to properly layer the cappuccino, you should let the frothed milk rest a moment so the foam and milk can separate. Pour the brewed espresso into a stainless steel pitcher as ceramic and glass cups absorb too much of the heat. The temperature of the espresso actually makes a big difference in taste and the best machines even allow you to regulate the temperature of the coffee as it’s brewing. To prepare your beverage, use a demitasse cup so you can keep the proportions correct. First pour the steamed milk into the cup until it fills about one third (2-3 ounces of milk). Then slowly pour the espresso into the steamed milk. Finally, spoon the froth in to fill the last few ounces of space. When this is done correctly, the espresso should settle between the milk and the foam. Generally speaking, the frothed milk should be between about 150 and 170 degree Fahrenheit. To make the frothing easier, you should buy an espresso maker that has a frothing adaptor rather than a wand. 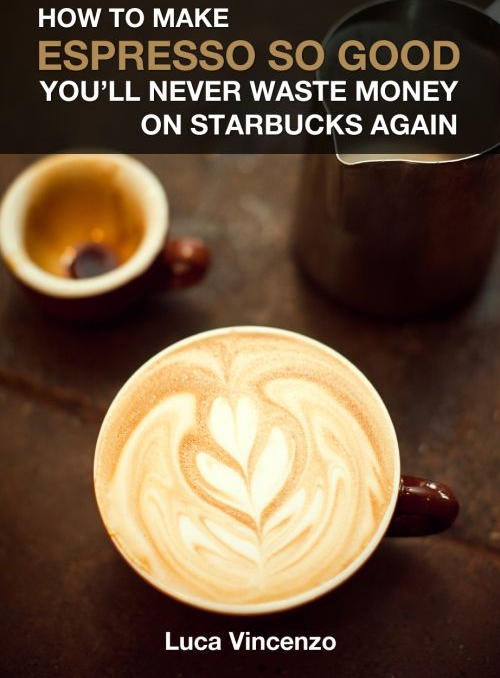 To learn more, read our article on how to make a perfect cappuccino in 5 minutes. This type of cappuccino is pretty common in Italy and North America and it’s simply a cappuccino that is only topped with frothed milk (no steamed milk poured into the espresso). 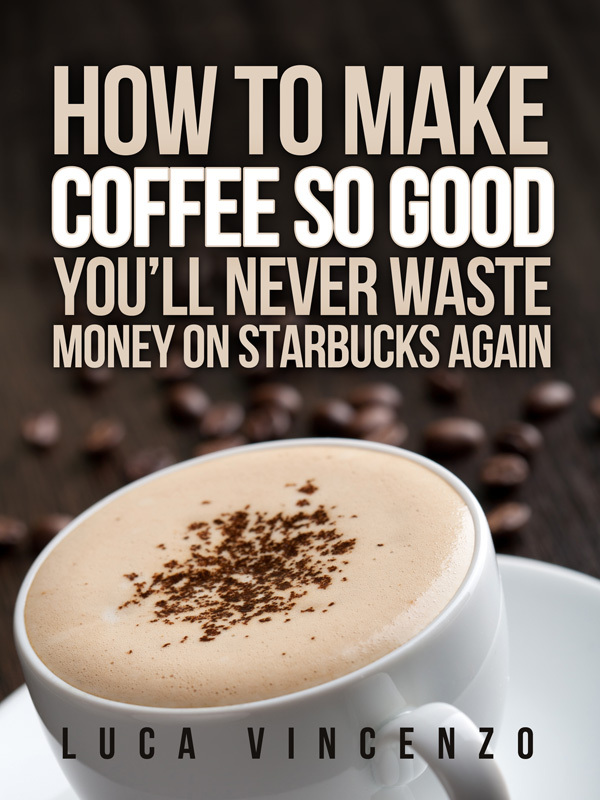 You simply top your 1-2 ounces of espresso with 1-2 ounces of foam. Delicious! Though the iced cappuccino doesn’t differ in ingredients from the basic cappuccino, it is prepared differently. First, you brew your espresso (a single or double shot). Then you put about 5-6 ice cubes into a glass and pour the espresso over them. Stir it up to bring the temperature down. Then pour the cooled espresso into a serving cup and add 2-3 ounces of cold milk. Finally, froth up 2-3 ounces of milk and spoon only the warm froth onto the top. Now we’re getting into the real yummy stuff. If you like chocolate and caramel (and who doesn’t? ), you’ll love this one. In order to make a Milky Way Cappuccino, you simply create a basic (or classic) cappuccino and add one ounce of chocolate and one ounce of caramel before adding the milk (you pour the chocolate and caramel into the espresso and then pour the milk). If you like almonds, you’ll love this recipe. Once again it’s very simple. Before mixing the steamed milk with the espresso, pour one ounce of vanilla extract and one ounce of almond extract into the espresso. Then simply finish off the Basic Cappuccino and enjoy! For this recipe you’ll simply need the standard ingredients of a basic cappuccino plus a peppermint patty. While your coffee is brewing, place the milk and patty in a small pan and heat it up until the patty is melted. Stir the milk when the patty starts to dissolve to ensure it’s mixed in nicely. Then finish your basic cappuccino with this scrumptious milk! A frappe cappuccino is simply a blended (frappe) cappuccino. To make one, you first brew one large shot of espresso and then let it cool. You can put it in the fridge so it cools quicker. Once it is cool, it’s time to get out your blender and pour in the coffee, about 4-5 ounces of milk, 1-2 tablespoons of sugar and about one cup of ice. Blend it up until the ice is crushed and the drink is smooth.